These are some sweet looking shoes! Today's Daily Deal! 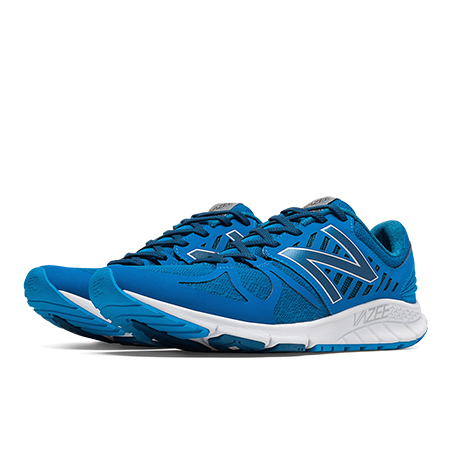 Save 50% on the Men's Running Vazee Rush Now Only $44.99 + Free Shipping (discount applies automatically at checkout) at JoesNewBalanceOutlet.com! Offer valid Saturday, 6/4. Take your competitive nature to a whole new level. Responsive, lightweight and designed for a quick heel to toe transition, Vazee Rush gives you the power to help you blow past the competition. This running shoe's sleek, bootie upper, deconstructed heel and no-sew overlays provide lightweight support while the pods on the outsole are designed to help you react in every direction.